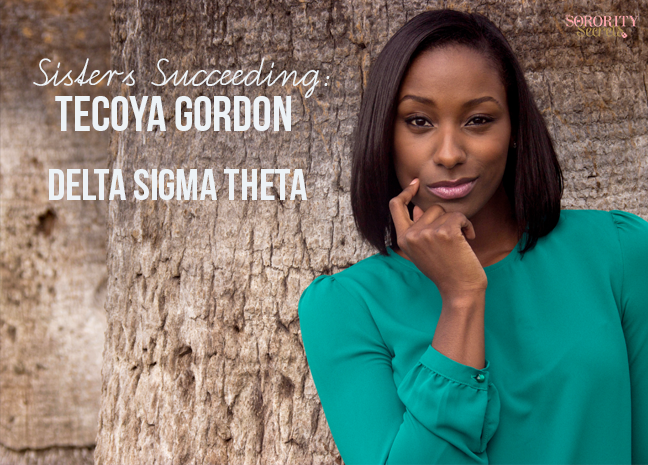 In honor of International Women's Day, we thought what better day to continue our 'Sisters Succeeding" series than with Delta Sigma Theta, Tecoya Gordon. Originally from Chicago, IL, Tecoya Gordon is a graduate of Howard University with a B.S. in Health Sciences. Ms. Gordon reigned as Miss Black DC USA 2013, and has had the opportunity to work with several nonprofit organizations, school programs, and media events during her reign. In her professional career, she works as a Development Associate for Teach for America and was a Washington Redskins Cheerleader for four years. In her last year she acted as one of the team’s co-captains & was selected to represent the team as the 2013 Pro Bowl Representative in Hawaii. As a cheerleader she has been able to travel overseas to several countries including: Kuwait, Afghanistan, Djibouti and China and more. She is also able to serve her community as an active member of her sorority, Delta Sigma Theta Sorority, INC., and the creator of two black women empowerment instagram pages, Black Girls Reign and Black Girls Cheer. 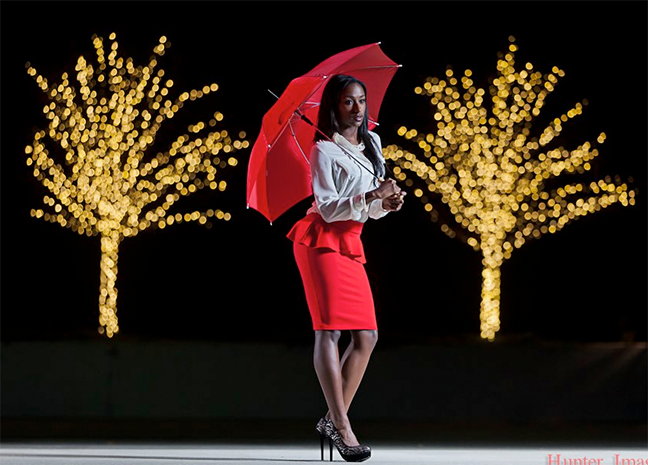 Ms. Gordon currently lives in Los Angeles, CA and is working towards being an actress and model. In the future, Tecoya aspires to start her own organization, which will be centered around underprivileged youth interested in the performing arts. Ms. Gordon is certain through dedication, humility, and faith that all things are possible through Christ that strengthens her. Her accolades are one to look up to as she has proven that you can strive for excellence in so many areas. Tecoya embodies what a well-rounded sorority woman looks like. Read more about her via our Q&A below! 1. 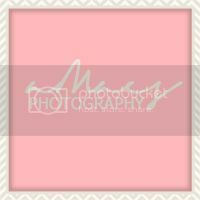 What sorority were you a part of? 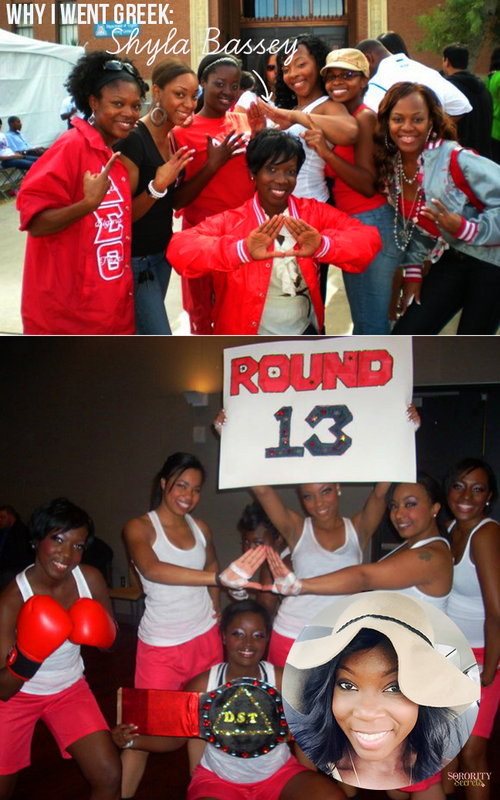 Delta Sigma Theta Sorority, INC.
2. What was your experience like as Miss Black DC USA in 2013? It was truly an amazing and rewarding experience. I was able to do a lot of youth outreach, mentor young women, and public speaking events. It helped me create my own brand and voice in the DC area. 3. What are the ups and downs of competing in a pageant? When it comes to anything competitive, there are always ups and downs. Obviously, only one person can win, but getting to a National level can take time, money, and other levels of preparation. Once you are able to get past the humps, you are able to enjoy the greatness that comes with being in the pageant. You get to inspire young women, be an advocate for a cause you're passionate about, and join a sisterhood along the way. 4. What/who inspired you to start "Black Girls Reign"? 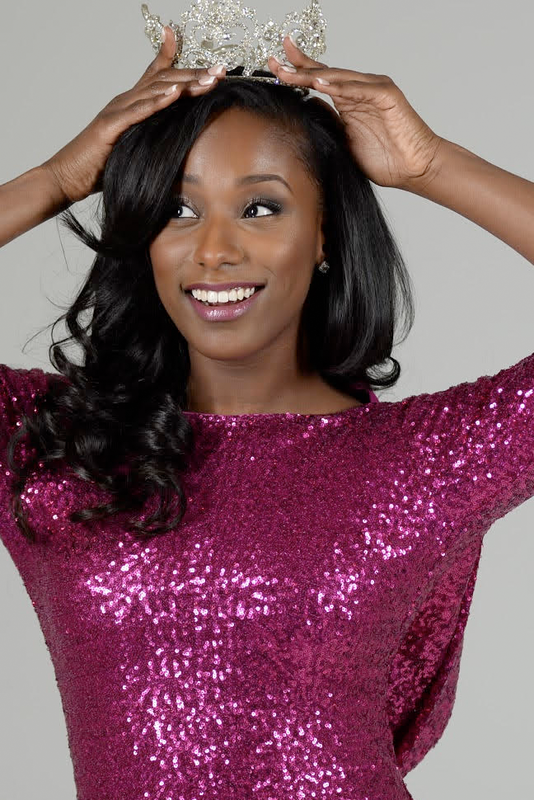 After competing for Miss Black USA, I wrote down all of the things I wish I knew before competing and ways to get more women of color to enter pageantry. So I wanted to create a platform where black Queens could be highlighted and introduced to pageant systems and coaches that they may not have direct access to. At that time, Instagram seemed to have a large influence so I started a page. From there I held an event at Howard University to discuss pageantry, personal branding, and different pageant systems. I definitely plan to hold more programs like the first one on other HBCU campuses, as well participate in additional speaking engagements for our young women. 5. What's your favorite part of being a motivational speaker? My favorite part of being a speaker is being able to motivate and inspire. I grew up with self-esteem issues and experiences of bullying, so I like to speak to our youth about overcoming obstacles and encourage them to follow their dreams. I want each young person to have a better experience than I did. 6. Who's a blogger that inspires you? Charlene Walton, Textured Talk; She has done so much with her natural hair blog and truly inspires me with all of her work. 7. What was the most exciting part about being an NFL Cheerleader? The most exciting part about being a NFL cheerleader is being able to hit the field with 30+ amazing women in front of over 50,000 screaming fans. The rush that you get as a dancer on the field is unmatched. Some of us also get the opportunity of visiting our troops and performing overseas, which is beyond rewarding and a humbling experience. 8. Tell us your Secret Steal? Besides being on every retail stores email list (sad I know, lol), I love Amazon. That's where I order books, decor, appliances, etc. And if you go to Best Buy they will match their price to anything you see on Amazon. So make sure you price match! 9. What has sorority life taught you that you've applied in the real world? Sorority life taught me what it means to put in work and be a leader. My chapter put on about 90-100 programs a year and to do that proper planning and great execution were required. I still use a lot of our planning methods in my career and enforce a lot of the leadership skills I was taught as well. 10. If you can be on stage performing with anyone- who would it be? I would love to dance behind Beyoncé, Janet Jackson, or Missy Elliott. I love their shows, the choreo, and overall performance. Being able to dance with any of those women would be a dream come true.